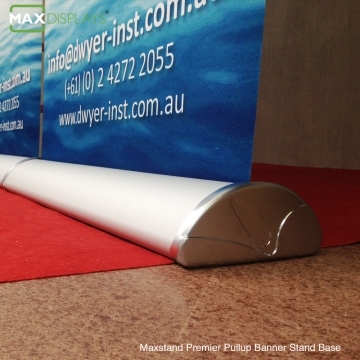 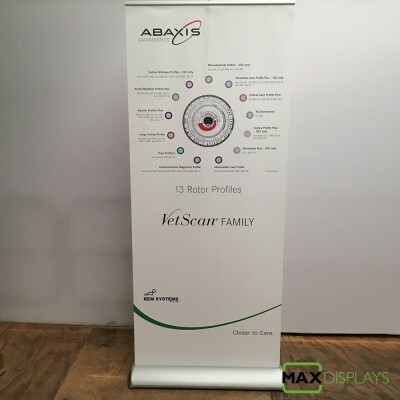 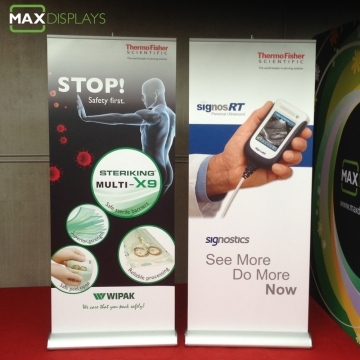 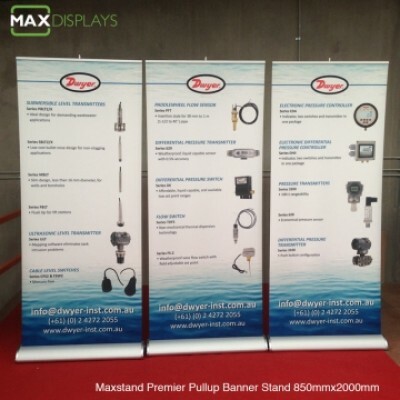 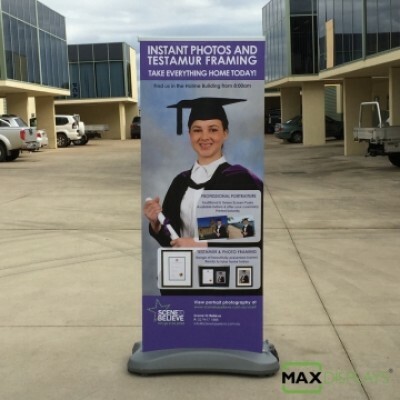 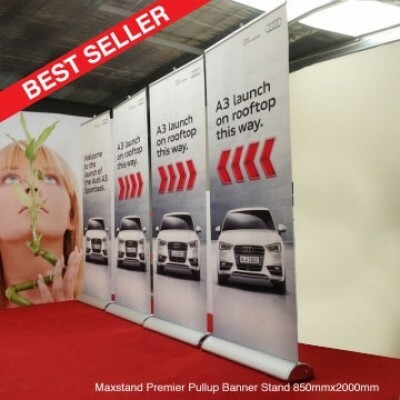 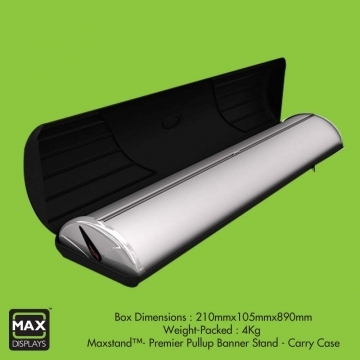 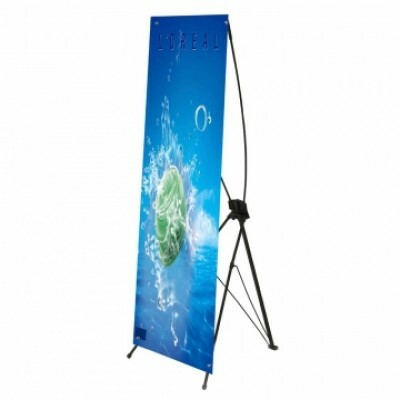 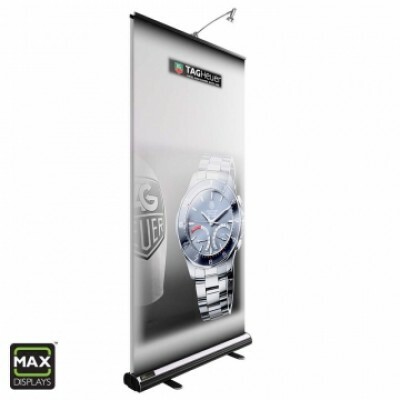 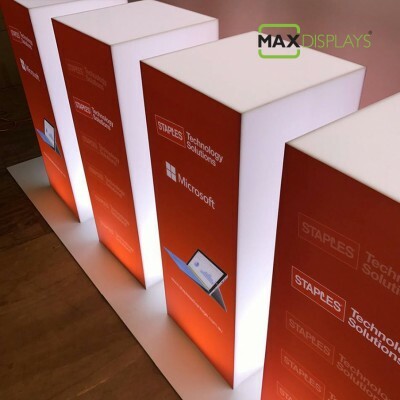 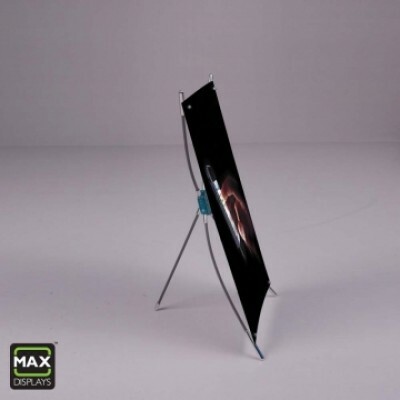 Maxstand™ Premier Pullup Banner Stand offers a modern fresh look to the ordinary retractable banner stand. 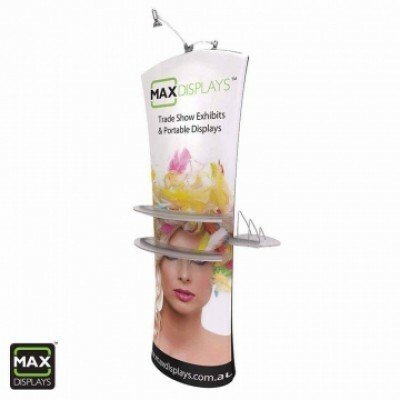 It has a sleek printable base, lightweight and sets-up in less than a minute. 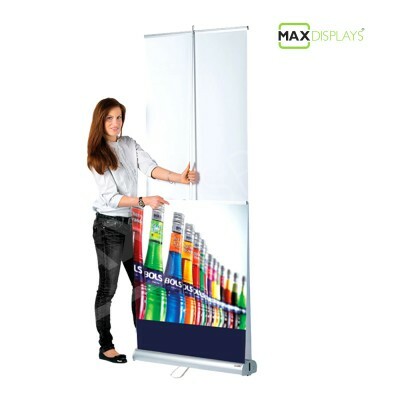 The graphic comes pre-installed, so the display is immediately ready to go. 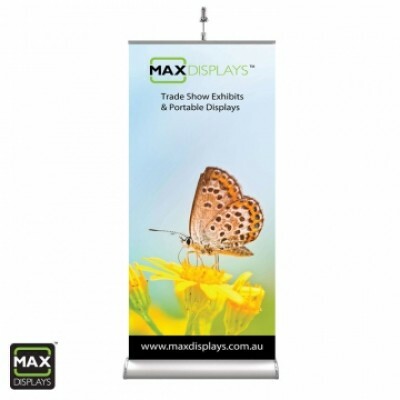 Durable construction with high-tensile steel retraction spring that runs the full width of the banner. Whilst this may not sound particularly exciting, it is the quality of retraction spring that sets apart good quality hardware from the poor ones. 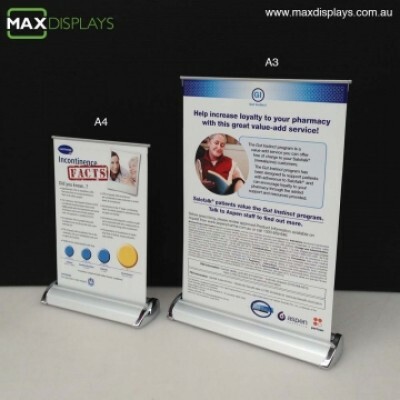 Poor quality stands use a wire or plastic mechanism that does not run the full width of the banner, which means they can fail at any time. 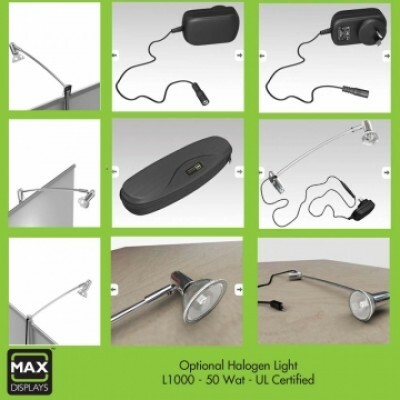 As a result of this quality we offer a lifetime guarantee on the hardware. 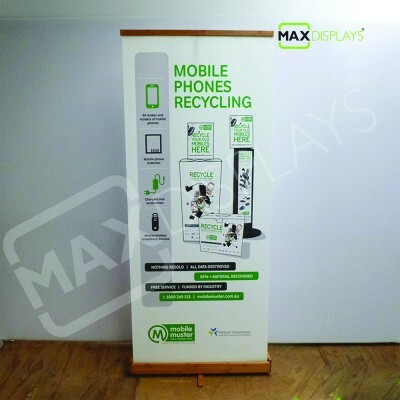 As our banner hardware will last for years and years, you have the flexibility of changing the graphics and reusing them. 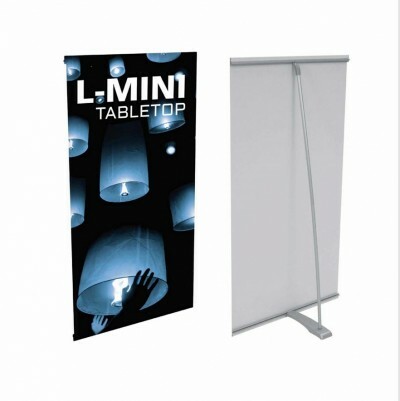 We also replace the banner in the stand for free, i.e. 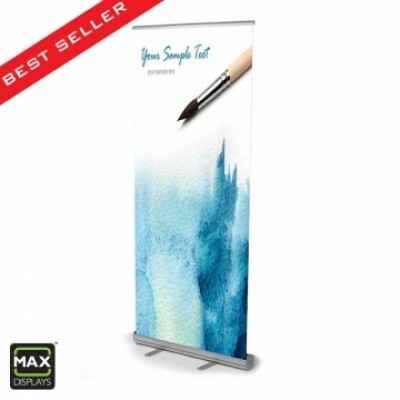 you pay for the re-print only. 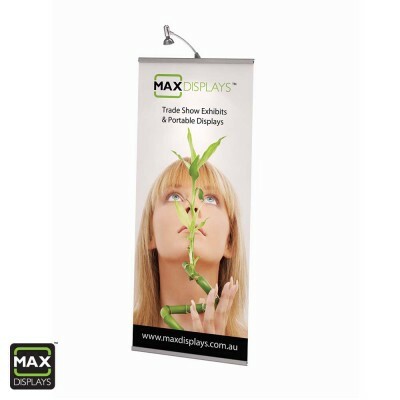 The principle is that the hardware should last you a lifetime, so you only ever need to replace the banners over the years. 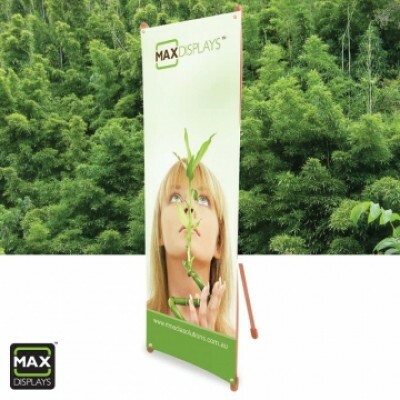 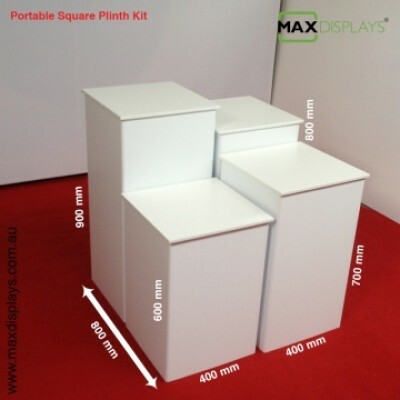 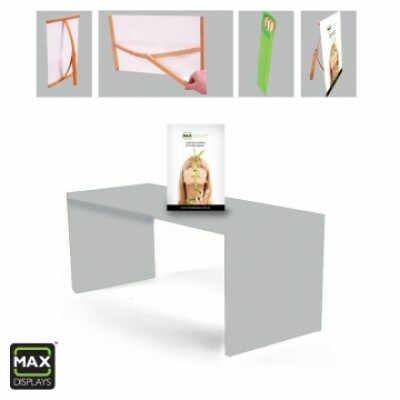 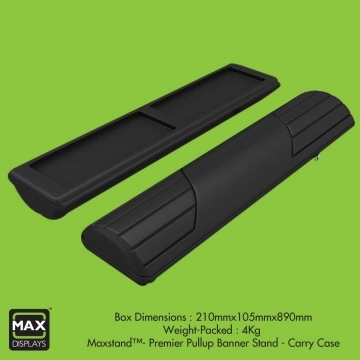 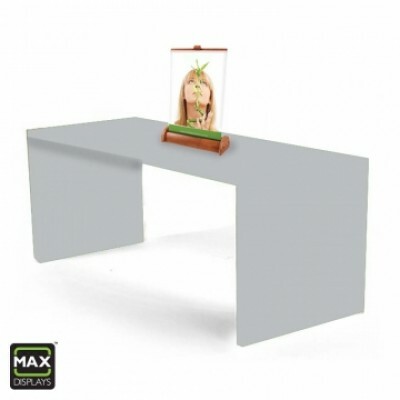 All our Maxstand series comes with eco friendly fabric print as standard. 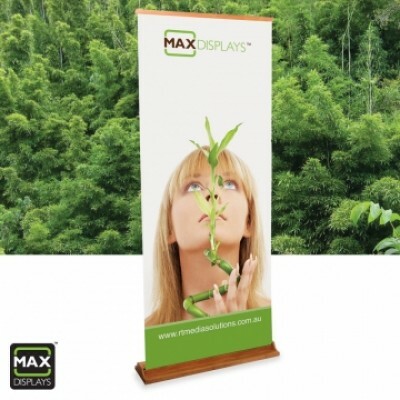 We can also print on non curl PET laminated material if needed. 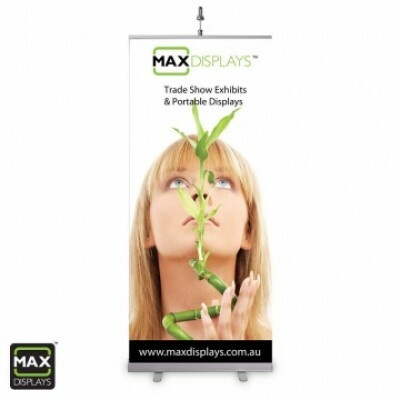 We also provide assistance in artwork design, so give us a call for design estimate. 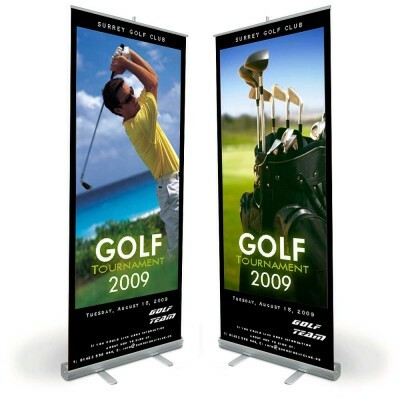 Our Standard turnaround time for production is 4-5 days between order/artwork and shipping.